After you've updated Windows 7. 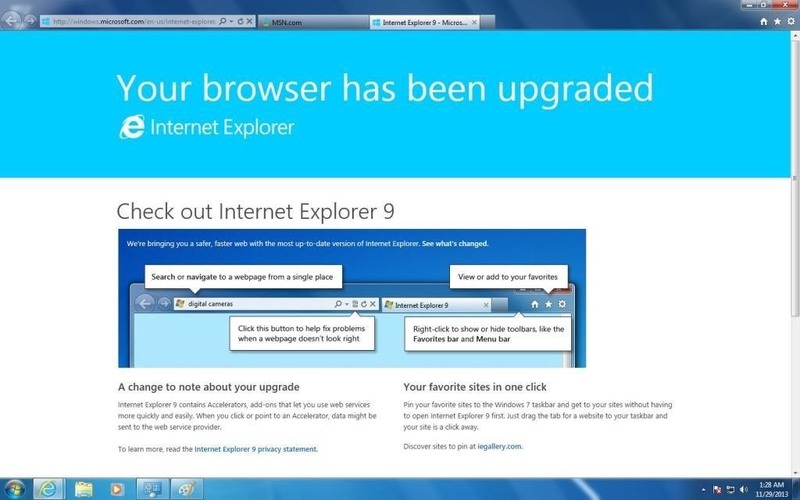 Internet Explorer 9 is automatically installed. This is just a two step process of knowing it's been upgraded, and is ready to run and get you on the web. 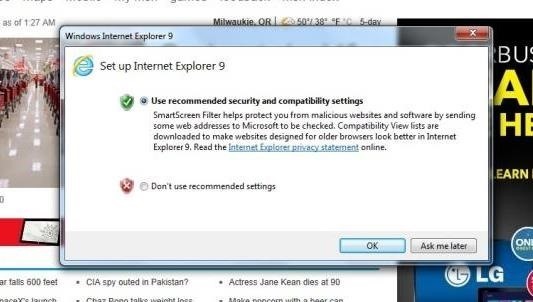 Once you launch IE you will be prompted with a dialog box asking you to Set up Internet Explorer. Choose Use Recommended security and compatibility settings, then click OK.
After that. You will be redirected to a page telling you that your browser has been upgraded, and you'll have the option of using the little tutorial and walk through of IE if you chose. If not. Close the tab and get to browsing. At first. Internet Explorer might be a bit glitchy, might be a little bit slow. No this is not how IE always is. It used to be, but it's not like that anymore. As you update your computer. IE will update with it. Until you get to IE 11. Which is really fast, and really secure. Though for the time being, since this is the beginners guide. Slow and or glitchy. It's normal for IE9.